Do you like Metroid? Did you decide to forgive Castlevania for making you feel bad at platforming games when they started releasing handheld titles? What are your feelings on parrots? 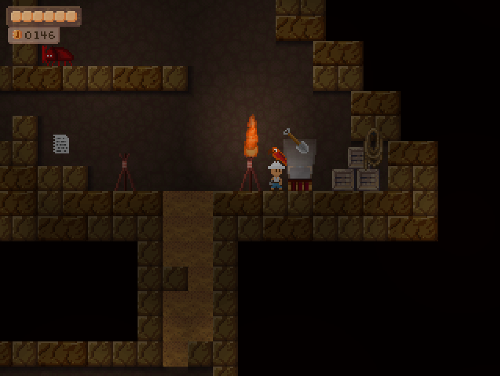 Treasure Adventure Game was released as freeware in late 2011. It had it all: platforming, hook hands, sidequests, and a charming minimalist design that will barely keep your rage in check as you just miss that jump. It's moments like this that help me keep away the darkness inside. In what I hope is becoming a tradition for stellar indie games, Treasure Adventure Game is getting the Cave Story treatment with an upcoming rerelease: Treasure Adventure World. This is a full on remix and not just a retooling. In addition to improved graphics, a new soundtrack (not that the old one did the game a disservice), and cutscenes that will assuredly be AAA quality and full of attack helicopters, there will also be general upgrades to the AI, puzzle design, and collectible-hunting. You know what that means. 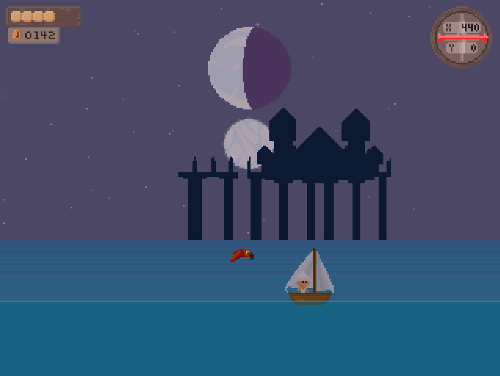 It's time to play Treasure Adventure Game right now so you can be all hipster about World. There's a lot of good to be seen in TAG: if you sincerely think Metroidvania should be a real game and not just a colloquialism, you'll find yourself at home here. 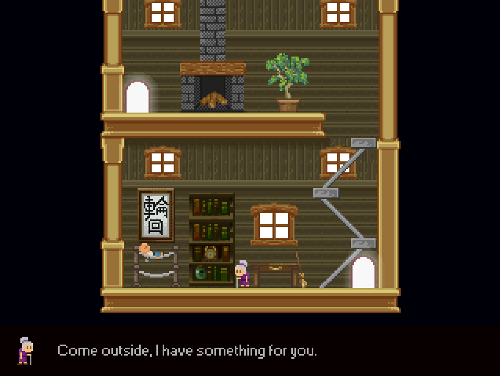 You play a young boy who, after being woken up by his grandmother, sets out for adventure. In 2012, one in ten boys suffered injury or death after they attempted to adventure under the influence of being woken up by a maternal figure. Yeah, that sounds familiar. A lot about the game is familiar, which happens to be a plus for the discerning nostalgic gamer. Treasure Adventure Game delivers that kind slowly-fill-in-the-blanks gameplay that awakens the player's inner completionist. Initially, you're lead around by the nose a bit. The further you progress into the game, however, the more things you have to mark off as being "for later." Between the "oh man, I bet this thing will finally let me get that treasure chest I saw at the beginning of the game!" feeling and the diverse sprite environments, TAG really does feel like a big place. Treasure Adventure World promises not only redone puzzles but also new equipment and collectibles, so you can expect even more places to tromp around and more annoyingly placed paintings of old men blocking your way to a chest. Don't worry, I'm sure that magic paint thinner is just around the corner. For all its charm, TAG does have a few pitfalls that we at Aristogamer are hoping to see addressed. In the first thirty minutes of playing this game you will likely end up standing awkwardly outside of a store you need to get into that's been locked for the night. Luckily, time passes when you're tabbed to your browser, so it'll likely be open by the time you're done browsing forums to confirm that, yes, there is a time-sensitive element in this game but no immediate wait or sleep utility. For the most part, the general difficulty of the platforming, puzzle solving, and monster slapping is in the right place. There are some segments, however, that feel straight out of the S/NES playbook. Some developers may have had some kind of rationale for making things frustrating or repetitive to extend playtime back in the day, but is it really necessary now? Not all nostalgia is good, especially if it's being invoked by falling into a previous area and having to retrod your way through content you've already cleared just to try again. Don't let that put you off. All in all, Treasure Adventure Game was an incredibly polished indie offering that felt like a sincere love-letter to the Zeldas and Metroids out there. Treasure Adventure World promises even more of the same, and a tightening up of whatever missteps its predecessor may have made. 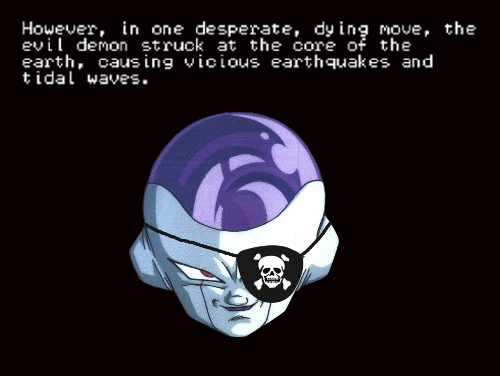 Also, I'm told the last boss is likely Frieza. Missed out on Treasure Adventure Game and want to see what all the fuss is about? Get the full original game for free at Robit Studios. Want to read more about Treasure Adventure World? Check out the trailer and press release.